I recently attended a fantastic workshop on the new landscape of indie cinema marketing courtesy of IFP MN and was reminded of the 80/20 rule of social media marketing. This concept suggests that only 20% of the content you share over social media be directly about you or your brand. A wise rule of thumb. It got me to thinking about the content itself – specifically the stories we tell to engage our audiences. Brands have been getting better and better about shifting the focus of their content from being all about their product or service to being all about their customer or supporter. Rather than the brand being showcased, it’s the customer that should take center stage – and in which the brand becomes a supporting player in the customer’s hero journey. It’s about tapping into the customer’s passion conversations and letting their unique story shine. To that end, I’d like to propose a new challenge to marketers and branded content creators everywhere. What if we took the social media posting rule of 80/20 one step further in the physical content we create? What if we held ourselves to a 90/10 rule and really let the authentic stories of the people we serve have the prominence they deserve? After all, this is what people connect with. Not sales pitches, not facts or figures – but other people. People with hopes and dreams and real challenges – just like them. I’d like to share a couple examples of this rule already in practice. The first is for Gold’s Gym and is a brilliant showcase of moving stories created by Phos Pictures. The second is something very recently created for Ecolab as part of their Why Clean Matters web experience by Bolster, showcasing the story of one of the finest chefs in the Midwest. As a brand storyteller and content consultant, I plan to push all new branded content toward the 90/10 benchmark – will you do the same? Your employees are your brand come to life. They work every day to carry out the mission of your company. They must be always walking and talking the very core brand values upon which your company was founded. If your employees aren’t engaged with your brand, your customers won’t stand a chance. As we enter the Experience Economy of the 21st century, never has the opportunity to strengthen a brand holistically been more apparent. Consumers are buying based on the experience they have with a product are service, rather than merely the product or service itself. Starbucks, Apple and Southwest Airlines, for example, all provide a service or product. But people do business with them because of the experience they have when interacting with these products or services. And nearly every experience being sold today (and also every service, for that matter) involves the employees of that brand. Employees are, after all, a company’s direct touch point to customers. So why wouldn’t we spend just as much effort in engaging employees with our brand as we do our customers? Some companies are spending that effort. The companies whose brands are leading the way in the experience economy surely are, and this is a big reason why they stand where they do today. 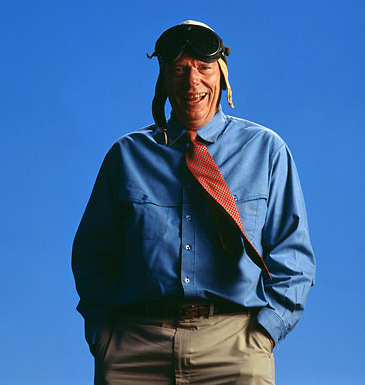 Take Southwest Airlines’ CEO Herb Kelleher for example. Over the years, whenever reporters would ask Mr. Kelleher the secret to Southwest’s success, he had a consistent response: “You have to treat your employees like customers,” he told Fortune in 2001. He believed in engaging employees, just as you would a consumer. Friends and peers of Kelleher’s would often see his philosophy in action. And we know from Gallup surveys relating to employee engagement that the employees who want to do a good job are the engaged employees. So what are the hallmarks of an engaged employee? Engaged employees identify with their employer’s values. They see themselves or see who they’d like to become in the core brand values that their employer has set forth. Any employee’s sense of belonging and inclusion in a mission larger than their daily work tasks directly affects the quality of the service they provide to customers. So at every touch point, your employee brand directly affects your consumer-facing brand. 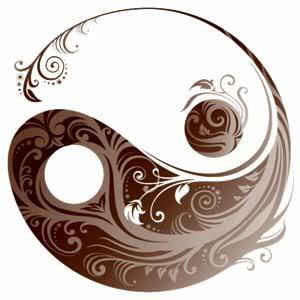 One can’t be strong without the other. The good news is that this is not a difficult goal to accomplish when you create authentic, emotionally engaging employee brand messaging. But what types of messages will resonate? We must work to tell the stories of the core brand values in action. Every day your employees are bringing them to life. You’ve surely heard stories from the front lines that exemplify the ideals of the company at its best. Do everything you can to tell them and share them with everyone in your organization. And do it in a way that captivates, engages and inspires. Once an employee sees a colleague whom they respect living the brand values they themselves admire, but have been unsure about how to bring to their day-to-day interactions with customers, they will adopt those same demonstrations of that value in their own work. It’s called model participation. Not only will those employees carry the brand ideas forward, they will find and reconnect with the ways they already live the brand on a daily basis. And once employees are actively engaged with the brand, they become evangelists for their employer. Every single interaction they have with a customer will remind those customers why they identified with your brand in the first place. The experience your customers have with your brand while in the physical presence of your employees is the single most memorable demonstration of it they will ever have. Why wouldn’t we always do everything in our power to be certain our employees are carrying forward the right brand values in the best possible manner? In doing so, there will be big rewards in the form of long-term employee loyalty, improved work performance, reduced staff turnover and a pool of top talent keen to work with you because you have a strong employee brand as well as a strong customer brand. This holistic brand approach means that when your employees win, your customers win. Which is why we believe your employee brand messages should be given just as much thoughtful care and attention as those your customers receive. You can begin to build a stronger, more holistic brand today by giving your employee brand the attention it deserves. Doesn’t that sound like something worth building? There’s a new name association game in town that can tell us a whole lot with a little (one word actually). 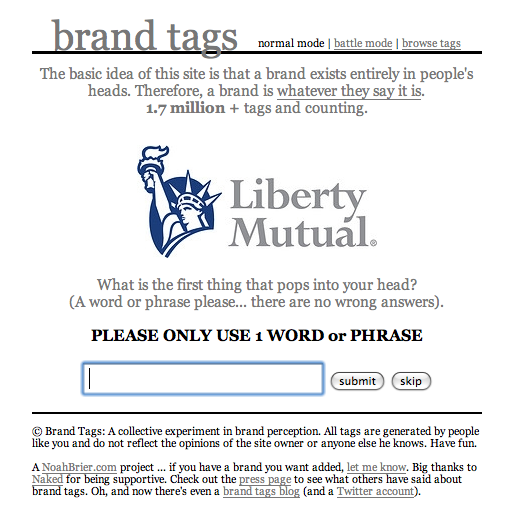 It’s called Brand Tags and you can play the game yourself at http://www.brandtags.net. The concept here is that the site flashes up a well-known global brand and participants type in the one word that comes to mind when faced with that logo/brand name. There have been 1.7 million brand tags and counting. Once you’ve personally tagged five brands, the real fun begins as you are able to scroll through those 1.7 tags by brand name. Enlightening fodder indeed. So what do all of these brand tags mean for brand story? They mean that we can and should find brand story themes by listening to our customers. The best way to create a truly authentic brand story is by inviting your customers to narrate your story with you. Your customers’ perceptions and experiences already contribute to the living and evolving story of your brand. And actually, your customers will keep telling stories about your brand whether you invite them to or not. So why not continue to encourage their voices and let those honest and authentic customer experiences guide the themes of your brand stories? And once you’ve begun (or continue to) identify and refine those core customer experience themes or “brand tags,” the real fun begins: you’ll have some storytelling to do. Yeah, they sell coffee – but what is Starbucks really selling? Well, are you in the mood for love? So over the years, nearly every Starbucks employee has collected stories of seeing first love first hand. Coffee shop romance is not an uncommon thing after all when there’s nearly one on every corner. But Starbucks employees saw what was happening and they did something about it. They told their stories. And in telling their stories they invited others to tell more stories. Until one day the company decided it was time to capture these little slices of love and put them to work for the Starbucks brand. As part of their Valentine’s Day push, the company announced a contest called Match Made Over Coffee calling for couples to submit a 250-word story about relationships that found their first spark at a Starbucks outlet. The winner would receive an all expense paid trip for two to Vienna, Austria – coffee capital of the world. They received nearly a thousand entries. 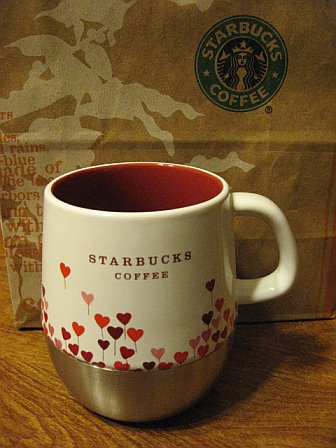 Winners were announced to great media fanfare and the Valentine’s Day volume and mood at Starbucks coffee shops around the country was let’s say…steamy. And Starbucks’ reputation as a place to go to well, you never know – meet that special someone grew and grew. Starbucks knew exactly what they were doing by telling these stories and encouraging customers to tell their stories. No, the stories weren’t about how great the coffee was but they were about the experience people had while enjoying Starbucks coffee in a Starbucks coffee shop. Starbucks is well aware we are in the experience economy and we are selling far more than products these days. And they knew the power of great stories, well told, that reinforce that brand experience message. Well played, Starbucks. Well played indeed. Do you know what stories your customers are telling about an experience they’ve had at your place of business?